Times are changing, and industries are matching speed. For those of us who hit the ground running in the business world what feels like many moons ago, it can be hard to remember the basics of the business, the foundations of what we do, and how best to blend those practices with modern ideas. This phenomenon can be seen in any industry. With the constant innovation of the medical field, practicing doctors who have been graduated for 30+ years, are hitting the books and brushing up on their basic biochem just to keep the content fresh. Who says business is any different? Here at 45 Inc., we believe in the power of a strong foundation, and for that reason, we’re bringing you back to the basics of the best business practices. Have integrity, at the end of the day, your name is all you have. Stay true to your word and honor your commitments. Be a team player, no one ever achieved anything great alone. Cast a deep network, not a wide one. It means nothing to know everyone’s name, the value lies in truly knowing someone- knowing their work, their skill, their experiences. Never be afraid to work with other people, but keep your eyes open. Collaboration is a powerful and beneficial business tool, but to blindly trust is bad business. Ignorance is never bliss. Ask every question twice. If you want something done right, do it yourself- classic. It’s hard to complain about mistakes that someone else made on your behalf if it’s important, you will do it yourself. That being said, learn to delegate. Burnout in business is very real. Find your trusted colleagues and employees and give them real work, it will lighten your load and your team will value the experience- nobody enjoys being benched. Pick up your passport and get ready to travel! You have not picked the physically stable career, my friend. Skim the rest of this, you’re probably late for a flight anyways. Say “yes” to every opportunity. In the beginning, what do you have to lose? Here at 45 Inc., we like to think this applies to life as well. Spend some to bank some, don’t fear the cash game. Never fool yourself into thinking you know it all. Think of industry talk with peers and colleagues as the oil keeping your engine revving. And just like that, we’re all renewed, reviewed, and refreshed. No matter your industry or area of expertise, every field of study has a “101” book. From all of us here at 45 Inc., it is our sincere hope that you remember your basics, and take them with you on all of the exciting innovations we know you will embark on. 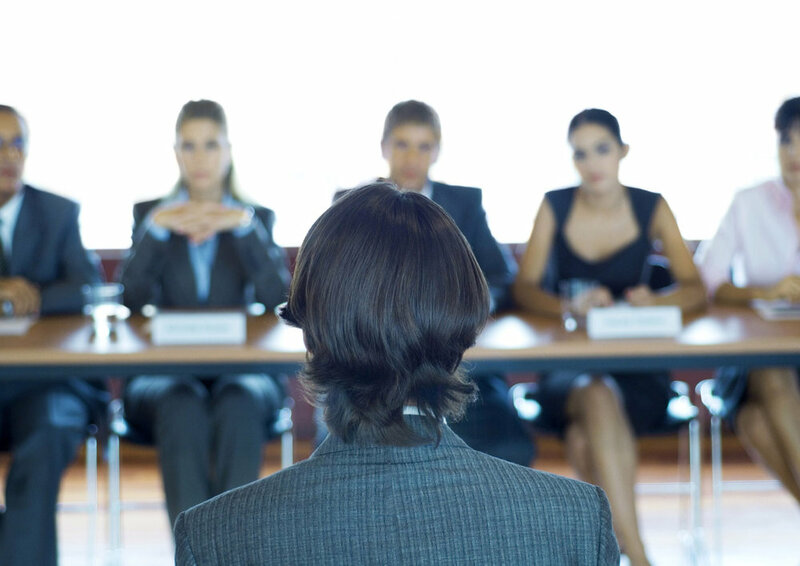 Are you looking for a job and getting nervous about the interview process? Here at 45 Inc., we understand you’re definitely not alone. A job search can be really tough, no matter how many times you’ve been on one before. From what to say, to what to wear, there can be a lot of unanswered questions without preparation. I believe there are two types of people when it comes to the interview process. Ones that perform better under pressure, and ones who crack under stressful situations.Many of us fall into the second category. If that’s you, that just means you have to do a little extra preparation when it comes to nailing your upcoming interview. To help better equip you, I have combined my best advice when it comes to interviewing prep. To only way to conquer an interview is to be confident. The employer already reviewed your resume, you received a call – now it’s time to shine! Don’t let the negativity in your mind slip in and alter your personality. There will always be doubts such as: “What if they ask me a question that absolutely stumps me and I look unintelligent?” If you are well prepared, you will naturally be able to share some answers which reflect positively on your strengths. If you are completely stumped, say something like “that’s a great question, can I give that some additional thought and get back to you?”. You can even use this as a chance to have a follow-up conversation with the hiring team. Practice truly makes perfect. The more comfortable you are when it comes to interviews, the less anxiety you will feel about the entire process. Meet with your previous coaches, mentors, and friends for a couple mock trial runs. This too will help give you better insight into your strengths. These people will be able to critique you and share honest feedback to make sure you are conducting the interview in a way that highlights your strengths and what you can bring to the table. Your goal is to obtain a position at the place of employment you desire. Keep the forefront of your mind focused on the success of this vs. the struggle. I learn best by visualizing images of success in my head. Try to imagine what your interactions will be like with your interviewer in a positive manner. If you are too busy focusing on negatives, you may pass up a chance of landing the perfect gig. At 45 Inc. we believe in giving our candidates the benefit of the doubt as we understand nerves are high during the interview process. Our office focuses directly on making sure our interviewees are comfortable and have the best experience possible during their time with us. We play fun music in our lobby and offer friendly conversation in hopes we will calm your nerves. Our hope is that everyone walks out of our office feeling like they performed their best interview possible. So remember you got this, take a deep breath, and show them what you got! For more information on jobs at 45 Inc. or more tips, visit our LinkedIn Page! Our president and CEO talks about 8 things we’ve learned that has helped us to be better as a company, as leaders and as entrepreneurs. Our #1? It’s not about me, it’s about my guys. Invest in your people. Read more on our blog!